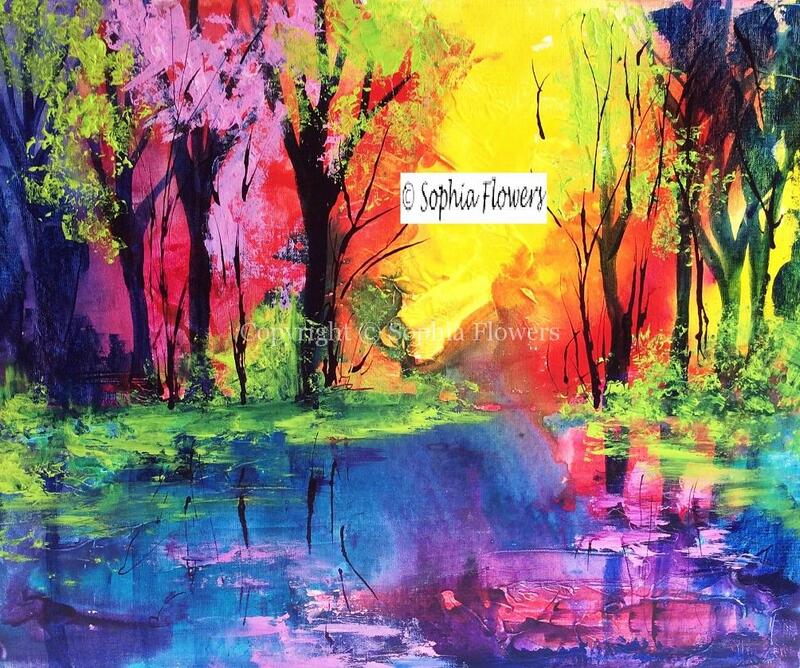 As Autumn donned its coat of many colours, I found myself inspired to paint woodland scenes using bright acrylics and inks. In fact, I couldn’t stop as scene after scene surged through me. This is often the way it happens for me – days or weeks of painting and then a gap before it happens again. Naturally, I love it and this time have been using mount board rather than canvasses so the paintings will need framing. I always choose the same white wooden frame and white mount to set the colours off to perfection. Christmas is on the horizon now and we have gift vouchers available for that more unusual gift, whether it be a painting or art class. There is also the Festive Painting Workshop coming up on Saturday, 10th December (there are a couple of places left) with our Christmas evening meal the following evening – all students welcome.